Rock out at Rhythm & Riffs Lounge, presented by TYLT. Located in the center of our action-packed casino, it’s the perfect spot to catch a variety of live music. Join us Friday nights for Nashville Unplugged while you relax and mingle in the comfortable lounge-style atmosphere with a wide selection of signature cocktails, spirits, beer and wine. While you’re getting charged up for an exciting night, charge your phone in the TYLT Charging Zone located inside Rhythms & Riffs. 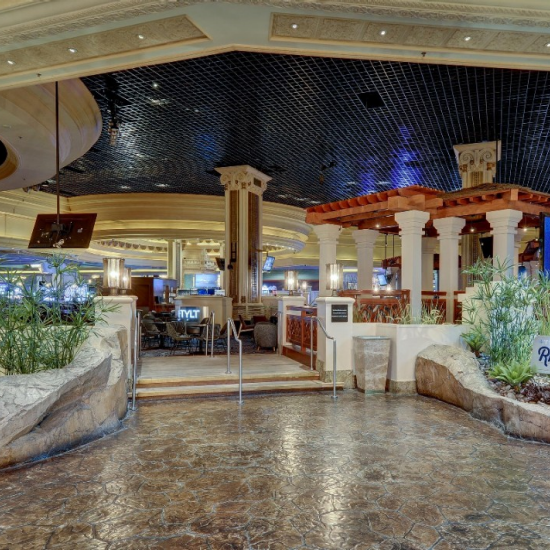 From the front desk, begin walking through the casino floor past the Noodle Shop and Bayside Buffet. Rhythm & Riffs will be straight ahead. From the parking garage, walk past LIGHT , continue straight on the cobblestone and Rhythm & Riffs will be immediately on your left. Party of 15 or more?